Once Upon a time in Barnburgh and Harlington, we had a Church, St Peters, and two Chapels, St Helens and the Wesleyan. Eight? Yes eight! 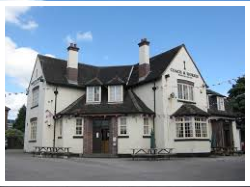 we had; The Harlington Inn, The Crown Inn, The Coach and Horses, Barnburgh Club, Green Lane Social Club , The New Inn, The Plumbers Arms and the Golden Ball. 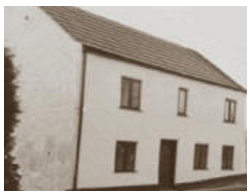 The New Inn, The Golden Ball and Green Lane club have been converted into houses and the Plumbers Arms was demolished. So now we are down to one Church and 4 pubs. The Church you've seen, Now its the pubs turn. Chris Roope The landlord AKA 'Roopy' welcomes you to his pub. Quiz Nights, Music Quiz, Live bands, Karaoke and beer what else do we need? Barnburgh village pub, with 'listed' bar and a CAMRA recommendation. Sadly the pub now stands empty awaiting a new tenant. It has lots to offer so hopefully it won't remain closed for long. 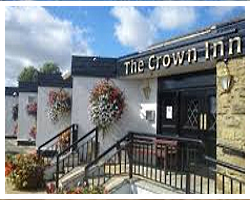 A traditional working men's club that goes the extra mile in providing for your hospitality. 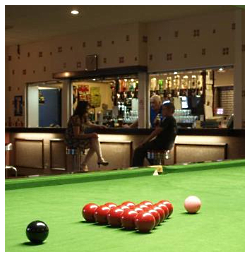 Whether you would like a quite drink in the company of family or friends, a game of snooker, or watching the latest sport on TV we can provide your needs. Our Concert room is the venue for many local functions, including, parties, discos, race nights or public meetings. I need help with this one folks before it is as lost as the Golden Ball above! Pictures can be posted on our Facebook page or you can conatct me via the form here. Any photos loaned will be returned. 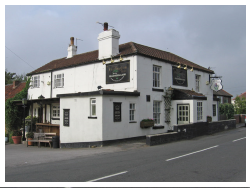 The New Inn Pub is now Plane Tree Farm stands at the junction of High Street and Doncaster Road Barnburgh. The Landlord is recorded in 1820 as John Kelton. But who else ran the pub? 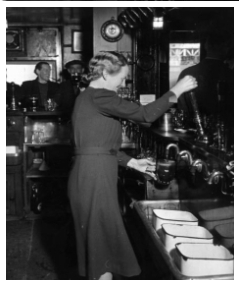 The pub closed in 1869 when the Plumbers Arms next door was granted a full licence. Do you know anything about the New Inn? It was an important building as it was at this Inn that special sessions of West Riding assizes were held to settle arbitration disputes. We have know that at some time it was a shop called 'Toothills' Can you tell us about the shop and what about the other years? Do you know of its history? Then why not share your memories with us. William Moxon is noted as a plumber in the 1841, 1851 and 1861 Barnburgh census returns. In Kelly's West Riding Directory of 1861, however, he is mentioned as a plumber and also a beerhouse keeper. In the 1871 census return he is recorded as occupying the Plumber's Arms and being a plumber and glazier. It is therefore likely that the Plumber's Arms was established by Moxon. The earliest located reference to the Plumber's Arms itself is 1856 when Moxon was fined for keeping the house open after 10pm. 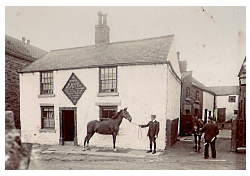 During 1869 the Plumber's Arms was granted a full licence but as a consequence the nearby New Inn was closed. 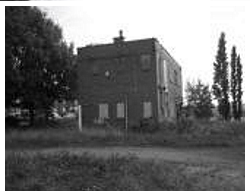 Inquests, suppers and meetings were amongst the activities once held on the premises. 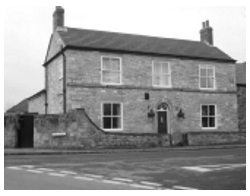 Moxon ran the inn until his death in 1875, when it was continued by his widow for a further eight years. During the following years the licence was held for long periods by several families: the Clark family from 1883 to 1894; the Kent family from 1894 to 1924. The premises closed around 1930 and past owners included Andrew Montagu.